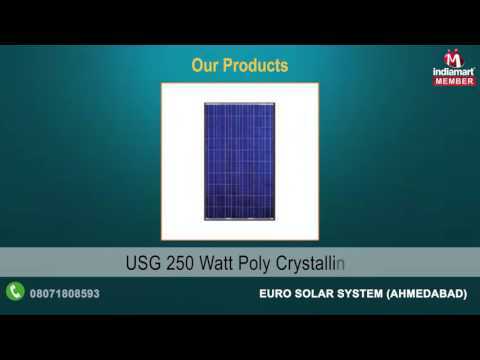 Established in the year 2011, Euro Solar System has attained a top reputation in the market for manufacturing, supplying and trading an outstanding range of Solar PV Panels and Invertors. Our range of products include Solar Power Plant EPC, Roof Top Solar Power Plant and Solar PV Panel, among a host of others. Our products are appreciated for their eco-friendly attributes, easy-to-install features, low maintenance and durability. Almost every day, residences and factories across the country are using our products for their back-up power. Many of these industries vouch by the quality of our products, which are manufactured with optimum raw materials procured from authentic vendors. Our skilled professionals utilise only latest machinery to manufacture these products with great precision.